It’s been a month of firsts for me. One of them being doing the cover of the June issue of InsideCounsel, which makes it my first magazine cover. 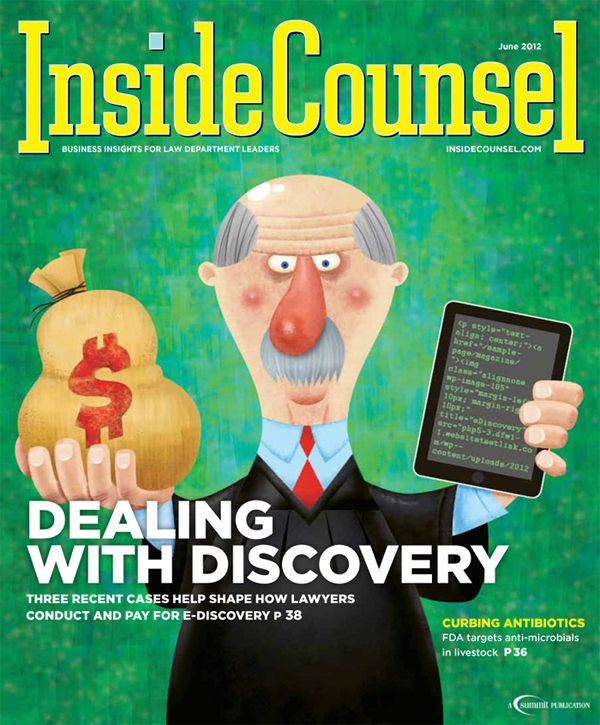 InsideCounsel is a legal magazine that I have done interior illustrations for. I had been talking with the art director about doing a cover, and she had sent me several past covers she was less then happy with, and wanted to see what I could come up with. But before I could sketch out my ideas, along came a cover they knew what they wanted. The AD showed my site to the author, who agreed my style would be perfect for the image they were thinking of. I did a pencil of the idea provided and also 3 different takes on the idea. They liked them all, but went with the original idea, no changes!